HEIGHT: 30-40 feet with ultimate height of 50 feet. FINAL SPACING: 30-40 feet apart. NATURAL HABITAT AND PREFERRED SITE: Anacua is native to Southern Texas. It grows in full sun in alkaline soils with good drainage, but it can also survive in slightly acid sands and clays. In sandy soils it tends to sucker causing thickets. It could be introduced fairly successfully as far north as Austin. Its primary native location is the Gulf prairies and marshes, Rio Grande plains and Edwards Plateau along the Balones escarpment in Comal, Hays and Travis Counties. IDENTIFICATION INFORMATION: The crown is very dense and creates heavy shade. Mature trees often have a distinctive gnarled appearance and are often multiple trunked. Anacua is mostly evergreen although it loses some of its foliage in the winter. FLOWERS AND FRUIT: Anacua blooms from late fall through winter into the early spring depending on rain and climate. May have more than one blooming period. The flowers are pure white and fragrant. The spring ripening fruits are bright orange droops about the size of hackberries. They are 1/4 inch wide and contain two seeds. The fruit doesn’t stay on the tree long because they are favorites of birds and other wildlife. 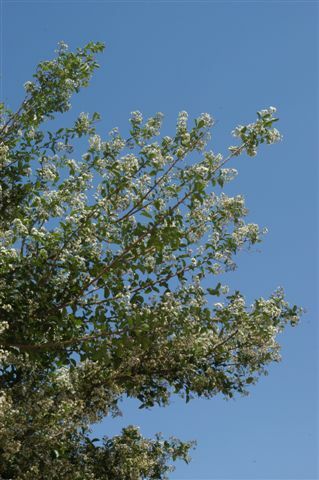 Anacua rarely set flowers and fruit in areas north of San Antonio. FOLIAGE: The foliage is dark green – almost evergreen – and has a rough sandpaper texture. The shape of the leaves is elliptical. BARK: The bark is heavy textured and deeply furrowed. It separates into thin gray or reddish scales with age. CULTURE: Anacua needs plenty of water to establish and then becomes very drought tolerant. After establishment it can be killed by overwatering or poor drainage. Very little if any fertilizer is needed. PROBLEMS: Very few other than poor drainage, improper planting or environmental damage. PROPAGATION: Can be grown from seeds, cuttings or transplants. Seed will germinate within 30 days if first stratified in moisture and cold temperatures. Anacua can be rooted from young wood or suckers, also softwood cuttings on the current year’s growth. INSIGHT: Anacua is a great honeybee attractant and food source for wildlife. There are terrific specimens growing around the Alamo in San Antonio. 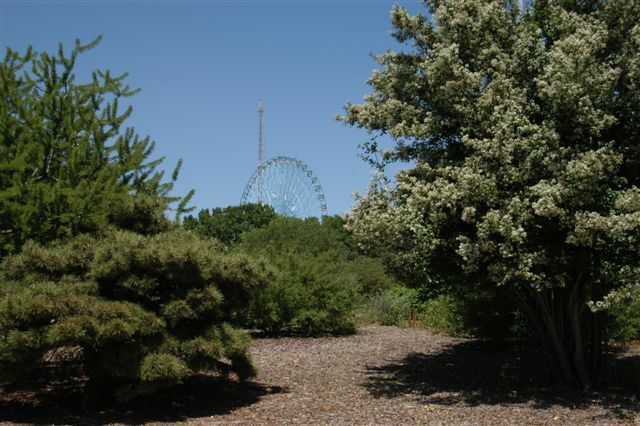 There are a few in fair condition in the Texas Discovery Gardens in Dallas. HABIT: Grows in alkaline soils with good drainage, but can also survive in slightly acid sands. Crown is very dense and creates heavy shade. Mature trees often have a distinctive gnarled appearance and are often multiple trunked. Blooms from late fall through winter into the early spring depending on rain and climate. May have more than one blooming period. Flowers are pure white and fragrant. Spring ripening fruits are bright orange droops about the size of hackberries. Foliage is dark green, almost evergreen, and has a rough sandpaper texture. CULTURE: Anacua needs plenty of water to establish and then becomes very drought tolerant. After establishment it can be killed by over watering or poor drainage. Very little if any fertilizer is needed. PROBLEMS: Few other than poor drainage, improper planting or environmental damage. NOTES: Anacua is native to Southern Texas. Great honeybee attractant and food source for wildlife.